What role does CSR play on company culture? Companies of all shapes and sizes seem to be implementing corporate social responsibility (CSR) into their business model more and more each day. Outside of the obvious, mutually beneficial factors associated with finding a charitable partner to align with, what is the more direct impact? Large scale companies and corporations might house a team of 500 or more people, and those people collectively, will make up the overall company culture. This network of employees, team mates and advocates are responsible maintaining the mission. The hope is that, when a company infuses CSR initiatives into the work they are doing, the company, it’s people, and the community will benefit just as much as the charitable partner. Mission statements say a lot, but they don’t tell the whole story. If you really want to see the impact of CSR on a company culture, you have to be on the front lines, with the people who carry that mission out. Such is the case with WNBA team, The LA Sparks. With philanthropy being part of the organization’s core values, the Sparks have created a company culture that engages employees while positively impacting the local community. One of these initiatives is the Adopt-A-Team program, a local initiative to help local youth teams by providing professional basketball role models in order to create unforgettable team bonding experience. Companies or individuals can make a difference in the life of a child by contacting The LA Sparks and adopting a youth team who is currently on the waiting list. By sponsoring a local youth team, kids will get to experience everything from live games, attending practices and even getting to hang with Sparks players after the game. Recently, we had the pleasure of seeing The LA Sparks’ in action during the 11th annual Friendship Bowl. 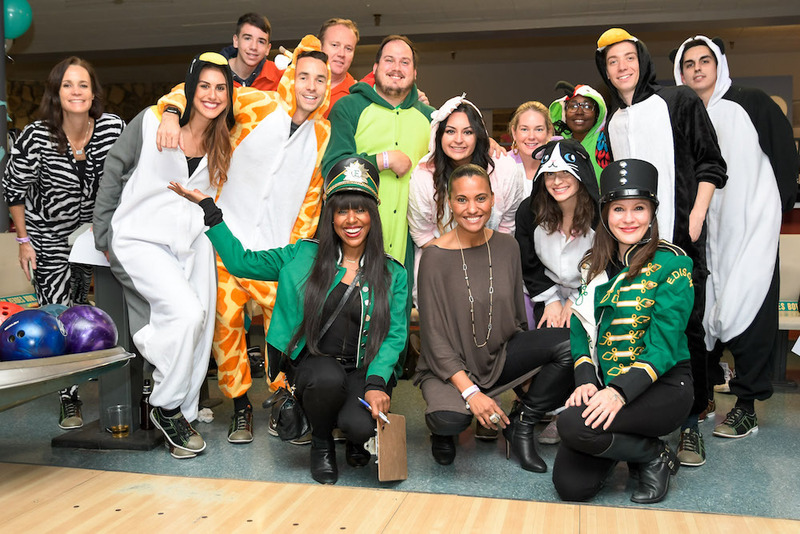 Not only were they an official sponsor of the event, but they also had a team of amazing employees represent the organization by fundraising and bowling alongside Walk With Sally families for the day. This level of commitment and dedication is truly a testament to their community-driven company culture. As charity event sponsor, they weren’t interest in simply writing a check. But rather, the team of people who represent the Sparks chose to go above and beyond for the kids in our program by promoting their fundraising on their corporate website, through LinkedIn, and building their sense of “team” within the company. If creating programs that provide positive role models for youth teams wasn’t enough, the Sparks organization proved that their mission, company culture, and team of staff, are all dedicated to incorporating a CSR plan that builds community. If you’re interested in incorporating more CSR into your organization we would love to chat with you about your initiatives and how a collaboration with Walk With Sally might work. Email us to get the conversation started today! This entry was posted in Businesses Give Back and tagged 2018, Corporate Social Responsibility, CSR, Friendship Bowl, LA Sparks.